Dear North Carolina: Trans people do exist. 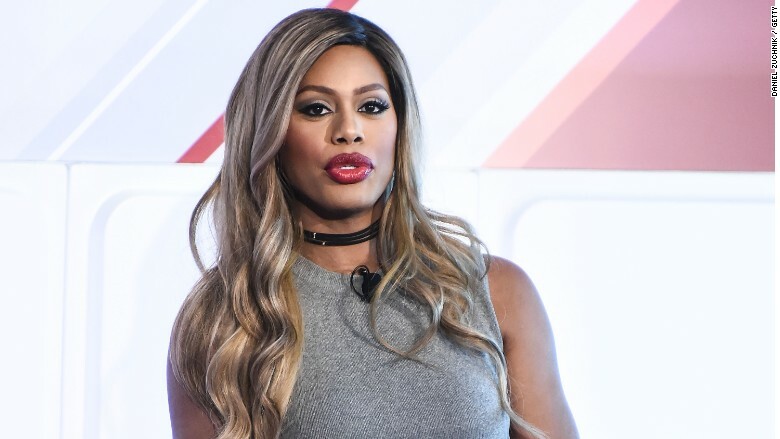 That's the message that actress and vocal transgender rights activist Laverne Cox conveyed on Thursday as she took the stage to close out the 4th annual Forbes Women's Summit. Cox, who stars in Netflix's "Orange is the New Black," said just how heartened she was by people's responses to the passage of HB2, the so-called "North Carolina bathroom law." HB2, which passed in March, prevents cities from creating nondiscrimination policies based on gender identity. It also mandates that students in state schools use the bathroom that matches the gender on their birth certificate. The backlash was almost immediate. Companies like PayPal and Deutsche Bank canceled business expansion in the state. Musicians like Bruce Springsteen, Pearl Jam, Demi Lovato and Nick Jonas have canceled concerts. Cox said these moves are "exciting" for the trans community because companies are saying, "This is not how we want to do business," she noted. "Those bills are about making us not exist," said Cox. "For decades [we've] been told that we don't exist ... But I'm a testament that trans people do exist. There are trans people all over this country that exist." "We see you; we stand with you; and we will do everything we can to protect you going forward," Lynch said Monday during a news conference. Cox called Lynch's words "deeply moving." "To hear someone at that high of a level in our government acknowledge our existence in such a pointed way felt like a major change," she said. Cox hasn't exactly had an easy journey to success. Growing up in Mobile, Alabama, she said that her gender was policed often, and being a black trans woman, she's had to work twice as hard to get to where she is today. "I've never felt that's a burden or [been] angry about that, I just accept it that I have to work harder," said Cox, who is playing Dr. Frank-N-Furter in Fox's upcoming Rocky Horror Picture Show. But she wouldn't change her journey -- and doesn't shirk from the responsibility that has come with her fame. "You cannot have testimony unless you've been tested. Boy, have I been tested," said Cox. "I don't know if I can save the world -- but I can use my voice."